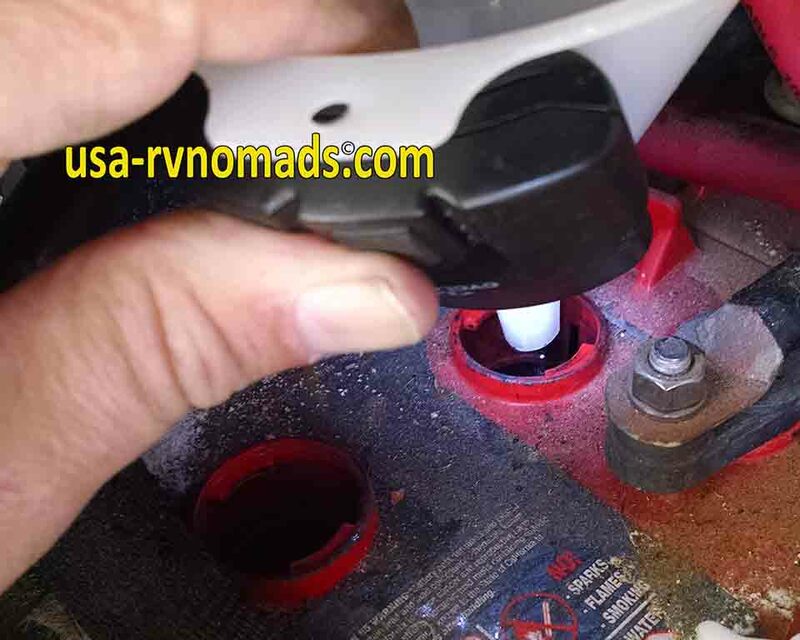 RV Battery Maintenance is a routine task that should be performed monthly by every full-time RVer. This usually involves opening the access door to the compartment where the batteries are stowed and sticking your head inside, opening the cell covers to check the water level inside each battery. Even on a bright sunny day or even if the compartment has a dome light inside, you’ll find it hard to see into the battery cell. Sure, you can easily turn on your trusty flashlight and peek down through the hole, but what do you do while filling? 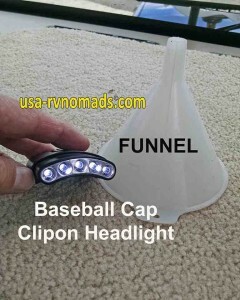 Having a flashlight, funnel and a jug of DISTILLED WATER in your hands becomes a balancing act. An act which is complicated by the cramped quarters, cables and lack of room to easily access the rear most filler hole on the batteries in the back of the compartment. 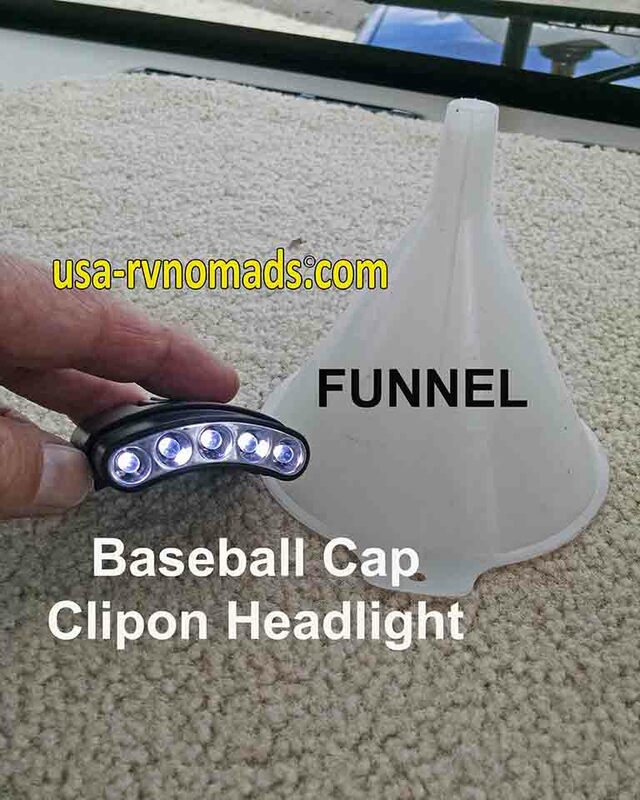 RV battery maintenance would be made easier with a nice LED lamp inside the battery to facilitate seeing inside…but second to that would be some sort of light in or on the funnel being used to pour the water into the battery cell. That gave me an idea! 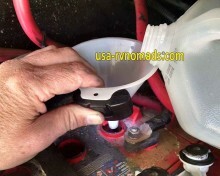 With the light fastened to the funnel, filling the batteries became a much easier task to perform. The light illuminated the end of the funnel as well as the water level inside the battery. While still a two handed operation, one for the funnel/light and the other for the jug of DISTILLED WATER, I was able to fill all of the batteries quickly…even the rear most cells which required pushing cables to one side to access the cells. Be sure to check your batteries’ water levels. If they run dry, you’ve waited too long and you may have other issues which could be hazardous and leave you without power when it’s needed most. Don’t overfill your batteries! Fill them to the level indicated on or inside the cell of the battery. By using Velcro to fasten the lamp to the funnel, you can easily transfer it to other funnels that you use to fill…oil, transmission and coolant into hard to reach and see filler access points. 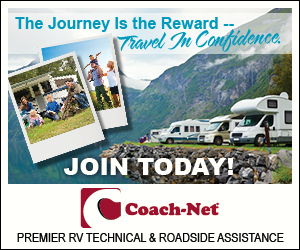 The RV Battery Compartment – The RV battery compartment and its contents are a critical area in the deciding factor when purchasing an RV, new or used. Here’s what you need to know. EZ Care Batteries – When it comes to batteries, you have two choices…maintenance free or those requiring regular maintenance.